Q. At least 8% of young people hear voices that other people don’t. If one of them came to you tomorrow and wanted to talk about it – would you know what to say or do? Q. 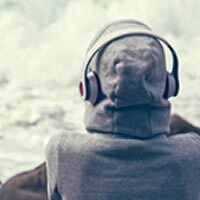 Would you like to understand more about what it’s like to hear voices or see visions, and learn some essential coping strategies that young people can use to deal with distressing experiences? Voice Collective trainings are for professionals working in youth-specific organisations, for those who regularly support young people who hear voices in their work, or for parents, carers & family members of under-19s who hear voices. This includes youth workers, counsellors, CAMHS, EIP, therapists, psychologists, psychiatrists, OTs, support workers, GPs, substance mis-use workers, YOTs, helpline staff, teachers, mentors & more. Please note: This CORE Module is a prerequisite for attending further Voice Collective training. If you have already completed a Voice Collective course, you do not need to attend this course as you will have covered the material already. As our courses are often oversubscribed, please book your place only if you are confident you are able to attend for the full three hours.